Are you sharing visual content on social media? Do your images stand out? Creating and curating clever visual content can engage your audience on a personal level. The more consumers relate to you and your company, the more likely they will invest in your social media presence and your brand. In this article you’ll discover seven ways to connect with your audience using social media images. Thanks to Anna Guerrero for writing this article. 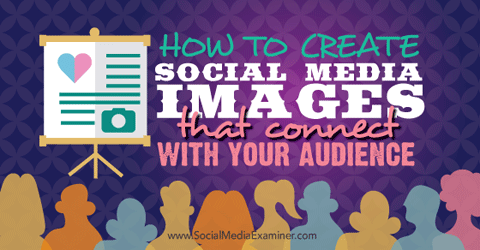 Discover how to create social media images that connect with your audience. Screenshots are a powerful way to share insights and information about your company, since they make your audience feel as if they’re right there with you. Use screenshots to create unique, engaging content that will intrigue your fans. 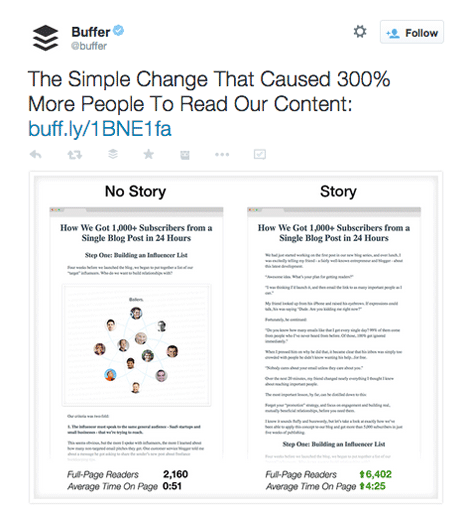 In this Twitter post Buffer treats fans to the inner workings of one of its growth experiments by showing two screenshots of an A/B tested email. Give fans insights into your company with screenshots. The screenshots act as evidence and a visual representation of the experiment, which gives meaning to the collected data. The text that accompanies the post is short, yet effective. It provides a hook for the article, but lets the screenshots speak mostly for themselves. The brain is capable of processing visual content 60,000 times more quickly than text, which is why images help you stand out on social media. Infographics take this concept to the next level, as they allow you to convey large chunks of interesting information in a visually captivating way. For example, Compassion International created a compelling infographic for World Poverty Day. When people share the graphic, they also share numerous facts, as well as a whole lot of awareness about an important cause. 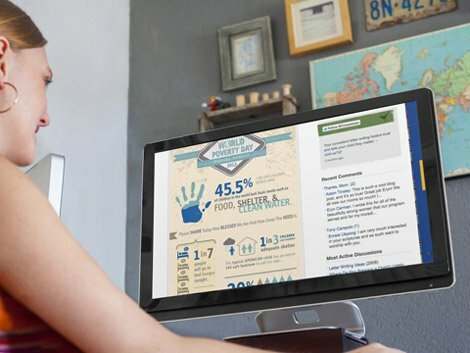 Use infographics to compile facts and figures visually into one powerful message. Image: Placeit. Infographics allow you to create an impact and capture the attention of your followers with just one image. Your followers see your logo on their social media feed and your products in real life, but there’s so much they don’t know about their favorite brands. How exactly how does Hershey’s make their chocolate kisses? Who voices the Geico gecko? What is your brand’s unknown? Give your audience a glimpse of who you really are with behind-the-scenes pictures from your company. 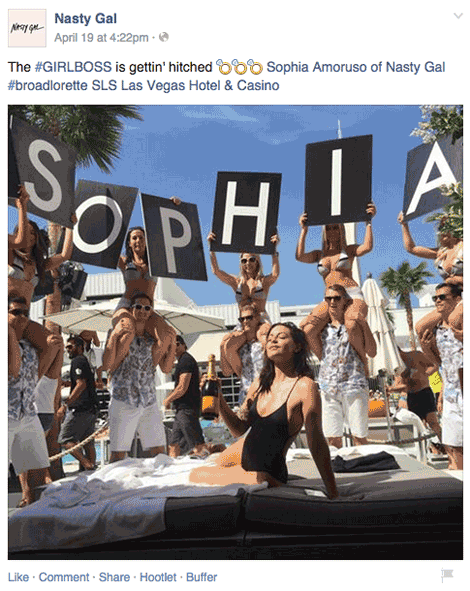 Nasty Gal clothing CEO Sophia Amoruso regularly appears on the company’s social media pages to show that they are not “just another fashion retailer.” By connecting with her fans on a personal level, Amoruso humanizes the Nasty Gal brand. She encourages audiences to connect as a friend, rather than a business, which boosts engagement tenfold. Engage your fans on a personal level by showing them you’re just like them. Use images to put a face to your name. This helps people better visualize your brand, so you can create a strong and lasting rapport with your audience. Images that feature your product in action can ignite a spark of imagination from your followers and encourage them to engage with your content. 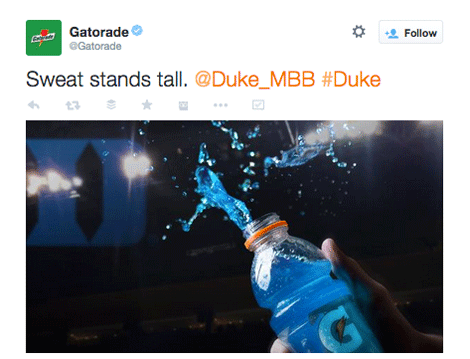 This dynamic and exciting image from Gatorade’s Twitter page shows the brand’s main product in motion. This image of Gatorade being spilled from its bottle leads followers to imagine it in real time. It gives the impression of a video. Consumers’ minds instantly process the series of events that led up to this moment (the action and energy that caused the bottle to spill), as well as the events that follow (the splatter of blue liquid; the color, smell and taste). Without realizing it, we become engaged with the product and brand by filling in the blanks. Take and share photos that inspire the same reaction. Quote graphics encourage your audience to stop, reflect and engage with your content. These are some of the most shared images on social media, since they relate to wide ranges of audiences. 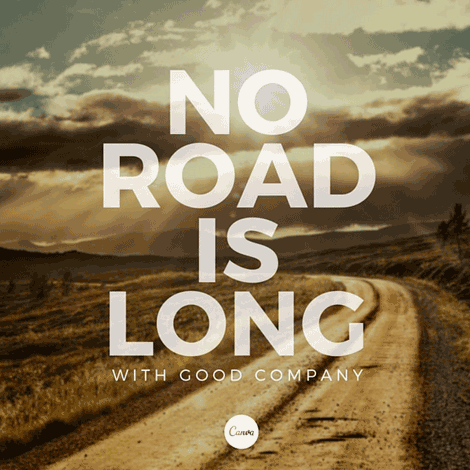 Create visually appealing quote graphics with an edge of style that suits your brand. They can be used for just about any purpose: to inspire, advocate, entertain, intrigue, etc. 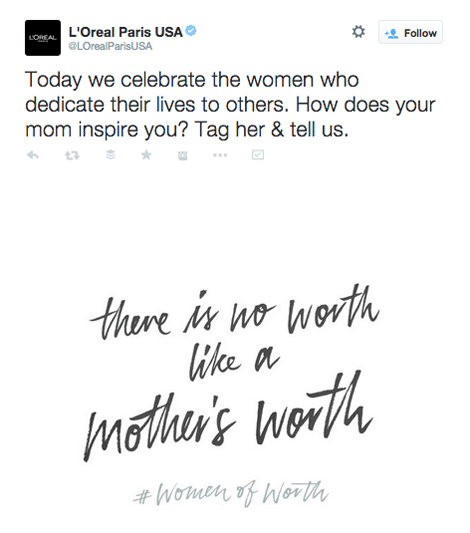 In this quote from L’Oreal Paris USA’s Twitter they’ve chosen a font that matches the tone of their message: handwritten text for a very personal quote. Carefully style your quote, so your audience wants to become part of the conversation and share what the words mean to them. Choose fonts, colors and images that relate to the message of your quote. Remember, always post with purpose. Think about what each particular quote says about your brand and decide if that message is relatable to your target audience. If you’re happy with the quote, then turn it into a stylish graphic that brings the words to life. Want to get lost in the crowd? Jump on the bandwagon and post visual content that is almost identical to other brands and accounts. This is a huge mistake many social media accounts make. Some images are popular or funny for a reason, but chances are your audience has already seen this content a multitude of times before viewing your take on it. 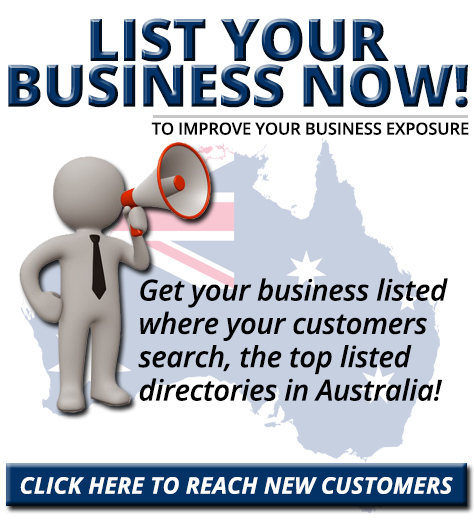 Provide original visual content that’s tailored to your audience instead of replicating what was popular elsewhere. Create unique images. Share photos that highlight your brand personality or the people behind it or design your own graphics from templates to look professional while generating massive appeal. Come up with a unique idea for an image that reflects your brand and run with it! Find your tone and share images that fit with your brand. Remember: anybody can replicate content that is already popular. Stand out by creating original and adventurous visuals! There are plenty of design tricks you can use to improve your graphics, so your fans stop their mindless scrolling and engage with your posts. 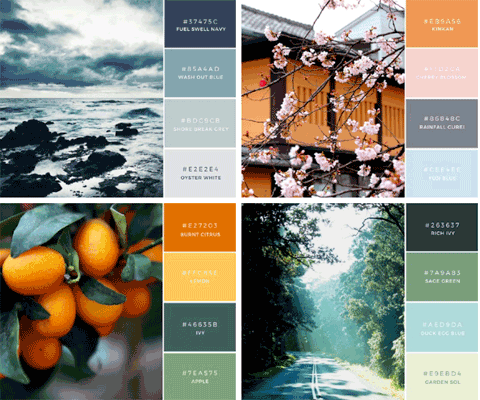 Use emotive color palettes to enhance your images. Experiment with unique photo filters, palettes and color schemes. What feelings, emotions and sentiments do you want to evoke from your social media audience? Do you want something fun and summery? Try some reds, oranges and warm browns. Are you looking for something calming and soft? Try faded colors, pastels and pale hues. Inspire a feeling with a carefully chosen palette. After you find images you like, use a color picker tool to extract different hues and create a mood. 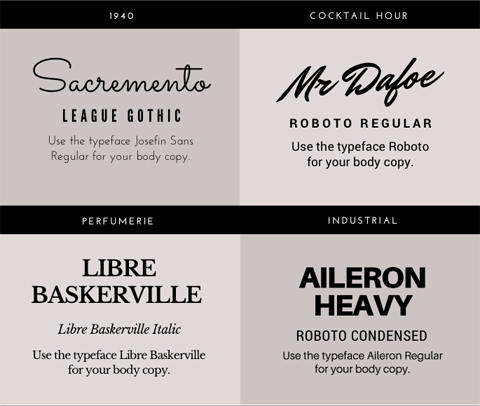 Just as colors conjure up certain emotions, so can certain fonts. You probably wouldn’t use an elegant script typeface to advertise a rock and roll concert, would you? Consider your context, tone and audience and pick a font to suit. Choose fonts that reflect the style and tone you’re trying to convey. When toying around with font pairing, keep a few things in mind: Use high contrast between type and background. Also, choose typefaces that are easy to read and complement each other. 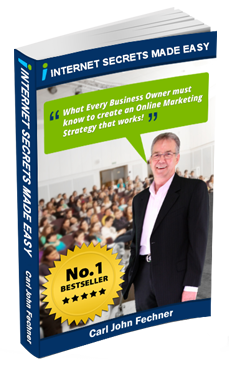 Everyone wants their company’s images to stand out on social media. To use visuals to increase engagement, create graphics for your social networks that speak to your audience. Research design techniques and visual content apps, as well as what works for other brands, so you can experiment and figure out what images best resonate with your audience. Above all else, remember to be original! Entice your fans visually, answer their questions and pique their curiosity. What do you think? What do you do to connect with your audience using visual images? How do you make your images stand out? What are your favorite examples of good graphics? Please share your thoughts in the comments. Compassion International infographic image created with Placeit.